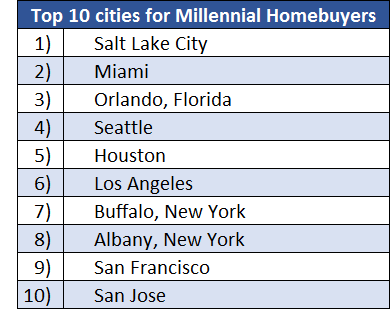 The report, released on March 22, included a list of the top U.S. cities for Millennials, with Houston ranking number five. The online real estate portal analyzed the 60 largest housing markets in the U.S., and ranked each city by the share of Millennials viewing properties on the company’s website. In the Houston area, Millennials—particularly those ages 25 to 34 years old—were interested in Realtor.com properties located in the Heights, Oak Forest and Timbergrove, according to the website. As one of the largest demographic of homebuyers, Millennials are now driving a transformation in Houston’s housing market toward smaller, more affordable—but quality—homes. ​Check out more Houston Housing Market Research.